Aw thanks, guys!!! 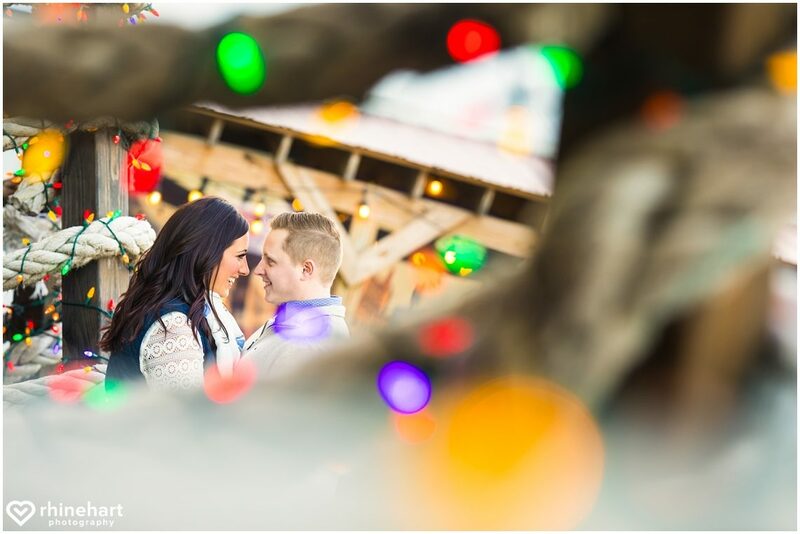 While the photo above shows a more colorful, creative, playful take on their relationship and the Winterfest space, the image below shows a more traditional engagement portrait. He looks so proud to have her by his side! S’mores time! They look like kids on Christmas morning, haha! Adorable :). I love to get creative and play with different photography techniques, angles, etc whenever I shoot. One of my favorite things to do is play with reflections and silhouettes. I was pretty much freaking out then I saw this opportunity. I didn’t Photoshop the neon letters into the photo– the scene with the lights and silhouettes is the reflection on the glass and the skates sign is what I saw through the glass. Cool, right? It was just a matter of capturing just the right angle with the right settings etc. Here I played with the sunset and lights and silhouetted them again! 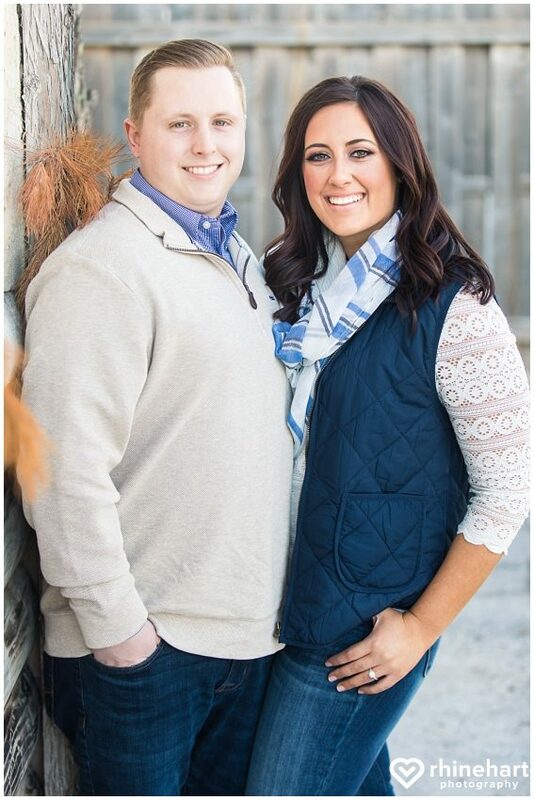 Jennifer and Tyler, thank you so much for choosing me to capture your engagement and wedding photos! 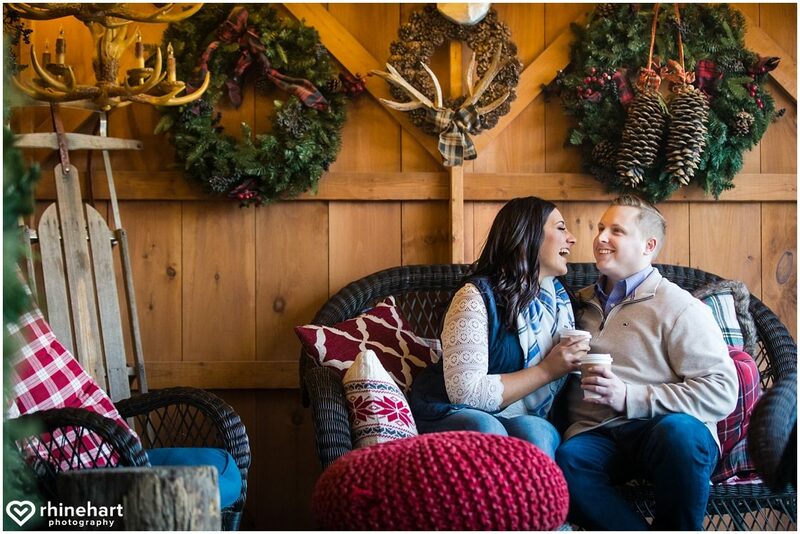 I loved working with you and am so excited to hear what you and your friends and family think about your photos and love story! I’m also looking forward to photographing your upcoming Historic Acres of Hershey wedding!!! GIRL, YOU NAILED THESE PHOTOS! I am officially slayed and LOVING every single one! !